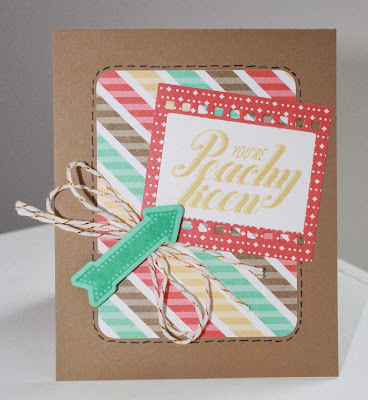 Little Bay Stampin': Peachy Keen, Jelly Bean! I used a few of my favorite new products on this card, specifically the On Film Framelits and the Gold Baker's Twine. Love! This card came together really easily, because I just used one set of products. Everything is from the Retro Fresh Suite - one DSP collection, one stamp set, one die set. Easy! The video is up on my YouTube channel, or you can watch it below. If you have any questions, feel free to ask! 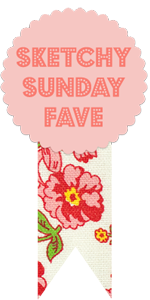 Make sure you come back tomorrow to check out this month's challenge for Catherine and Cathy Create!